Finding an address is easy. Finding friends in big, populated venues is not. 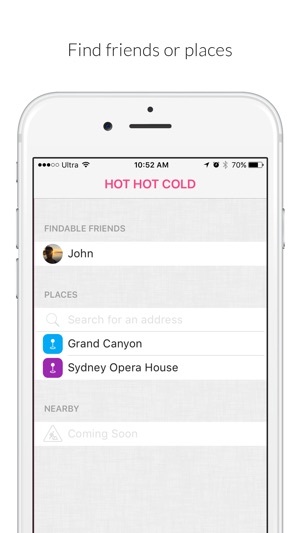 So, we created Hot Hot Cold to make finding your friends when you are off the grid easier. It's this season's "must have" festival accessory. 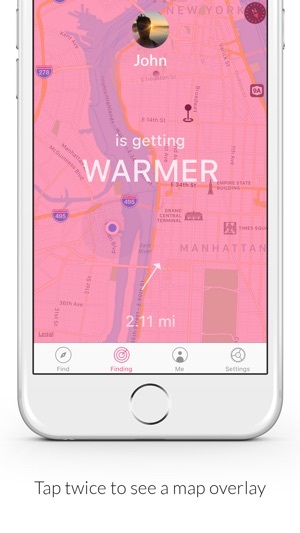 Hot Hot Cold uses the technology you already carry with you (compass, GPS and Bluetooth) to navigate you towards your friends - using distance and direction. Ideal for large outdoor venues like the beach, parks and music festivals. It's a great alternative to relying on your friends' terrible descriptions - "I'm at the back left, near the big speaker, a few people behind the tall guy with the blow up palm tree". 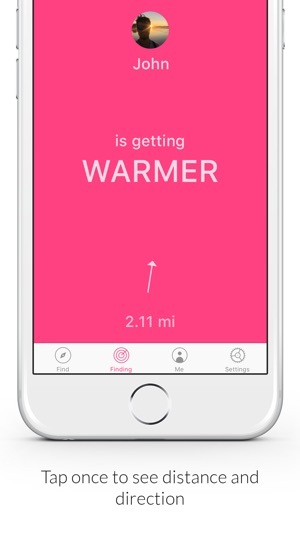 Hot Hot Cold directs you to your friends (or a point of interest) by telling you if you're getting warmer (closer) or cooler (further) in terms of direction and distance. It makes navigating relative. Use it in "Game Mode" or tap to get more information. Download it free and try it today! A couple of things. First, after downloading the app onto my IPhone w/ the latest iOS, I couldn’t use it unless I signed on with Facebook. And second, it uses battery power, even when the app isn’t running, shortening the battery life. Since I don’t want to tie apps to Facebook and add to battery drain, I’m going to delete it. 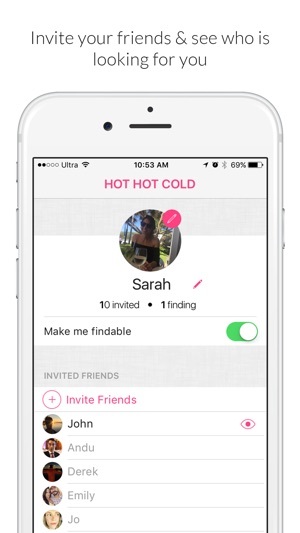 Great and fun way to find my friends! Always use it when going to the park and to the beach! I don't want to have to connect to Facebook in order to use this so, unless this changes, it isn't an app for me. © 2016 A Relatively Unique Inc.